Jasmine contains around 200 species native to tropical and warm temperate regions of the Eurasia, Australasia and Oceania. 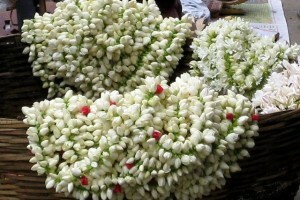 Jasmines are widely cultivated for the characteristic fragrance of their flowers. 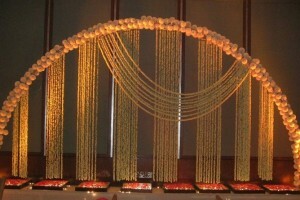 Online Florist and Online flower shop. Jasmines can be either deciduous (leaves falling in autumn) or evergreen (green all year round), and can be erect, spreading, or climbing shrubs and vines. Their leaves are borne opposite or alternate. They can be simple, trifoliate, or pinnate. 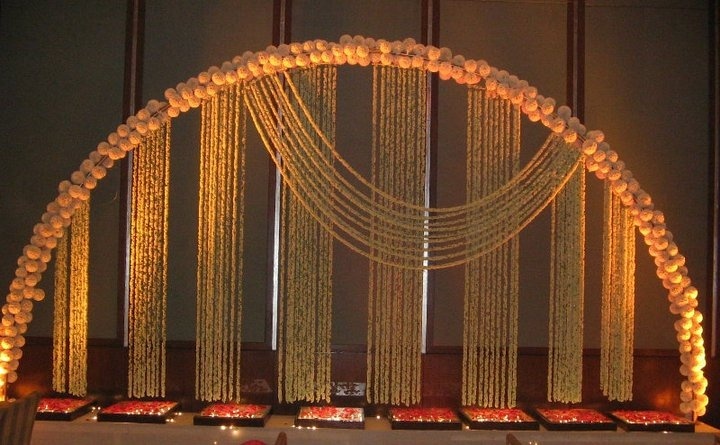 Online flower shop, flower delivery, flowers online, florist, flower arrangements, flower shop, buy flowers online, florist near me, flower store. 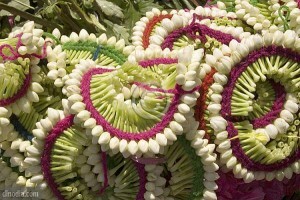 The flowers are typically around 2.5 cm (0.98 in) in diameter. They are white or yellow in color, although in rare instances they can be slightly reddish. The flowers are borne in cymose clusters with a minimum of three flowers, though they can also be solitary on the ends of branchlets. Harvest Time Jasmine- March to April. 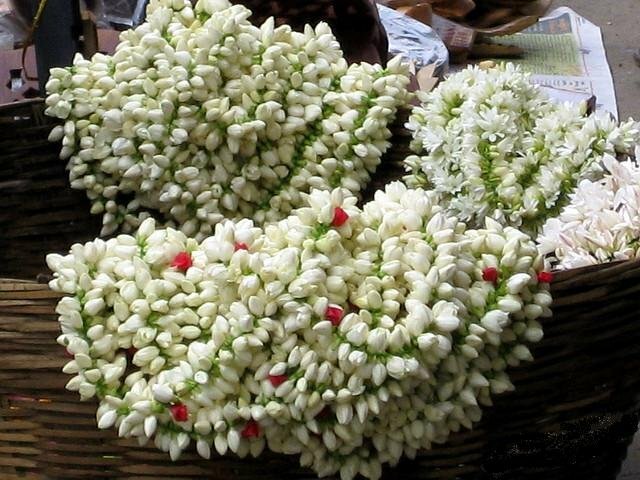 Varieties Jasmine-Single Mogra, Double Mogra, Iruvatchi, Ramanathapuram local and Arka Aradhana etc. are presently cultivated. Delivery Time Within 2 days after Deposit to our account. Promotes weight loss With a naturally sweet and heady, floral taste, jasmine tea is the most common way to ingest this botanical (scented tea is made by mating jasmine with green tea, oolong, or black tea to absorb its flavor and fragrance). Thanks to high levels of catechins, drinking jasmine tea is said to accelerate the metabolism and trigger the body to burn more calories. Soothes your mind and body Research suggests that the aroma of jasmine, taken as a tea or smoothed on the skin, has a relaxing effect. In fact, just the scent of jasmine chills out autonomic nerve activity and decreases your heart rate. Rich in flavonoid antioxidants that combat oxidative stress, jasmine tea has a mild sedative effect which relaxes the body and mind–even calms coughs, and may help regulate insulin levels and lower blood pressure. Some say jasmine is also an effective antidepressant. Clarifies and protects The essential oils of this delicate flower contain potent antiseptic, antibacterial, and antiviral properties thanks to a portfolio of compounds like benzaldehyde, benzoic acid, and benzyl benzoate. When slathered on, jasmine-infused lotions and oils can help bolster skin’s immunity and protect skin from invading offenders especially as the seasons change. Hydrates for softer skin Traditionally used to restore skin, the essential oils and botanical extracts of jasmine increase skin’s elasticity and help balance moisture in the skin to naturally reduce dryness. Plus, its natural antibacterial properties protect skin from assault and aid skin’s immunity. Jasmine flowers are also wonderful as a massage oil. The restorative effects of jasmine on the skin are widely noted, as are the benefits of jasmine massage oil. The unique properties of this plant allow the skin to rejuvenate since the oil moisturizes the skin and restores elasticity. 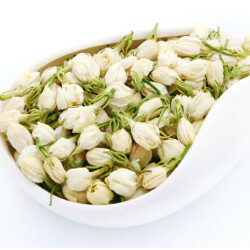 Jasmine is used to relieving all manner of symptoms and diseases, including even some forms of cancer, like breast cancer. Jasmine can even be used to clean scrapes and cuts. 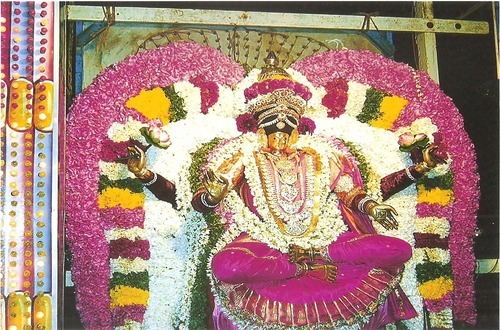 The medicinal properties of this plant, from sexuality to healing patients at death’s door, bears out the designation of this plant as the “queen of the night” by the Indians in ancient times. Jasmine is an extraordinary plant. These issues are aided by using jasmine in tea or lotion form. Topical remedies include the fresh juice squeezed from the plant; it is good for healing corns that appear on the foot. 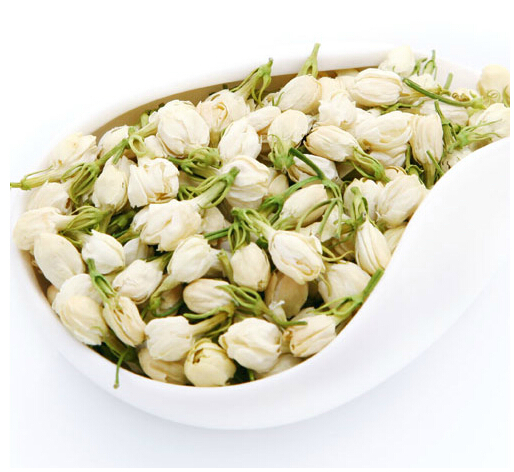 Today, Jasmine is used mainly in the beauty and healthcare industries. The two biggest ways that jasmine is used are as an aromatherapy product and as an essential oil. An essential oil is a hydrophobic liquid that contains high concentrations of the native plant juices from which they are made. In other words, jasmine essential oil is basically the jasmine plant in oil form. Aside from essential oils, jasmine tea is also very popular. This tea is very aromatic, and known for its relaxing properties, especially for providing relief from fatigue and stress. 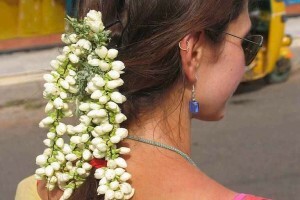 Madurai, a city in Tamil Nadu is famous for its Jasmine production. 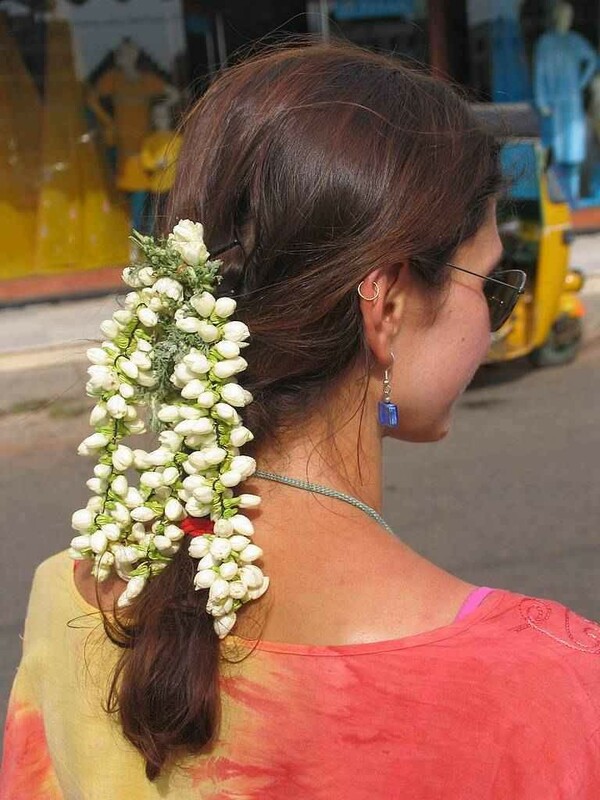 In the western and southern states of India, including Andhra Pradesh, Karnataka, Kerala, Maharashtra and Tamil Nadu, jasmine is cultivated in private homes. These flowers are used in regular worship and for hair ornaments. 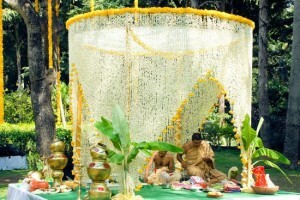 Jasmine is also cultivated commercially, for both the domestic and industrial uses such as the perfume industry. 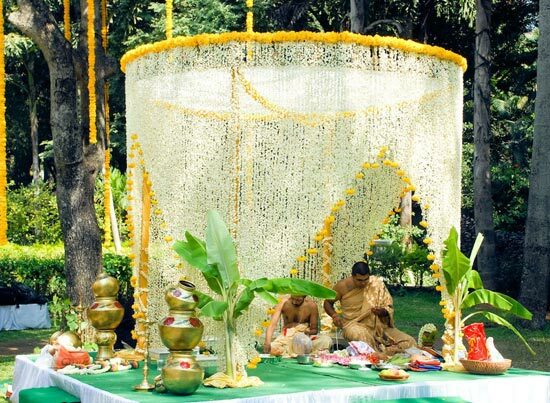 It is used in rituals like marriages, religious ceremonies, and festivals. In the Chandan Yatra of Lord Jagannath, the deity is bathed with water flavored in sandalwood paste and jasmine flowers.